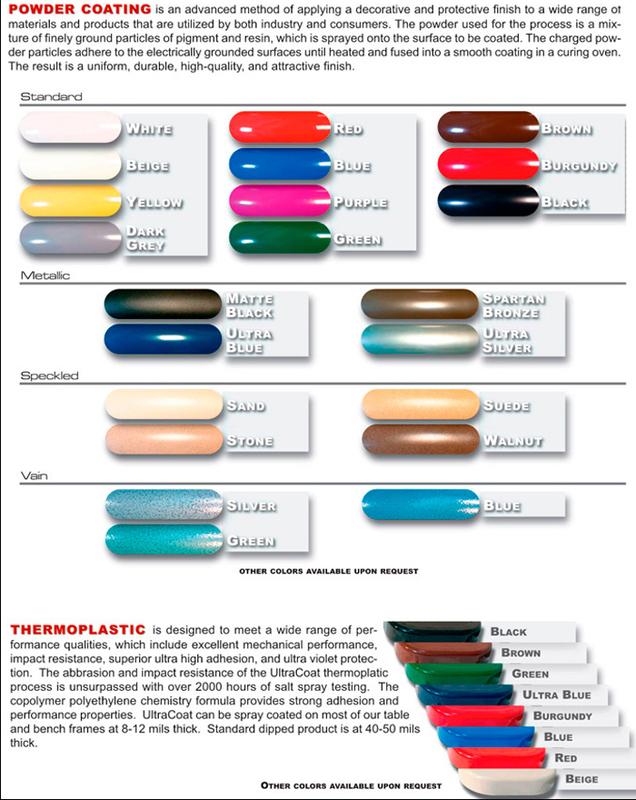 Specify coating and frame color. 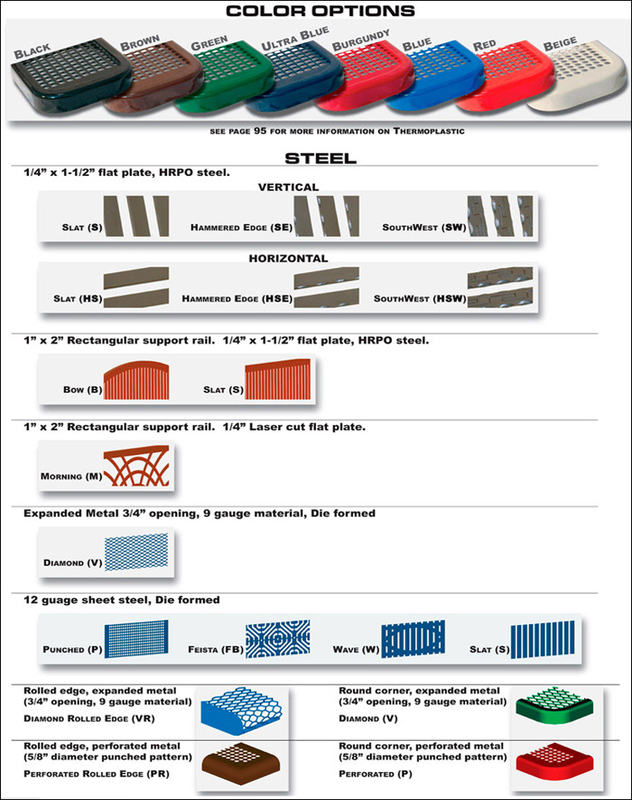 Specify portable (P) or surface mount (S) when ordering. PB KPIC4 4 ft. 2 bases. 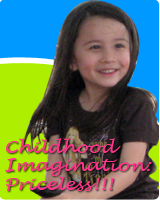 Made with a solid sheet plastic top specifically designed for use by children. 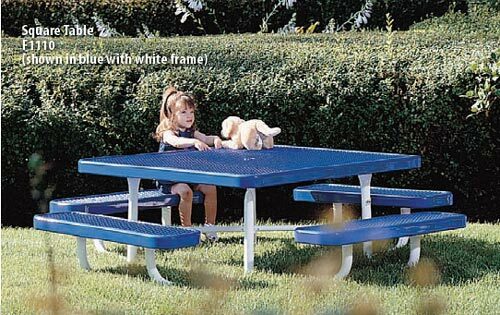 The top allows children to write or play at the table. Available with black frame and green or cedar top. 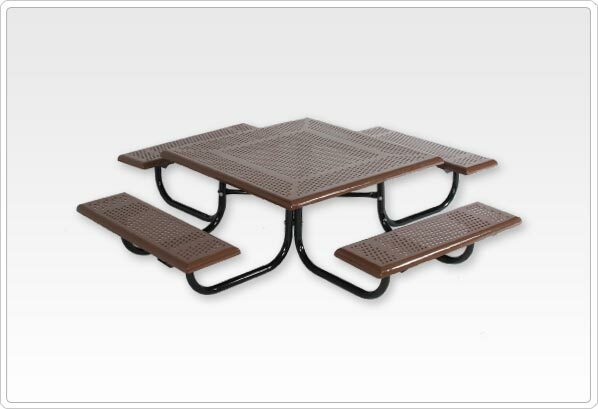 Tables and chairs are durable polyethylene. 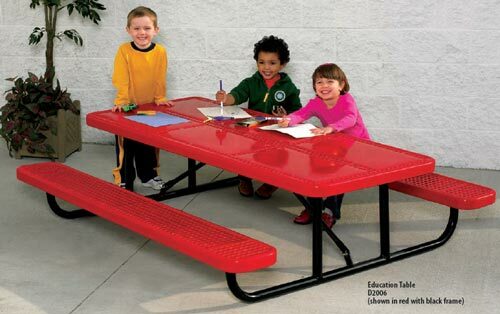 Table top available in Red or Purple only. Chairs available in yellow, Red, Blue, Green, Tan, White, Black or Purple. 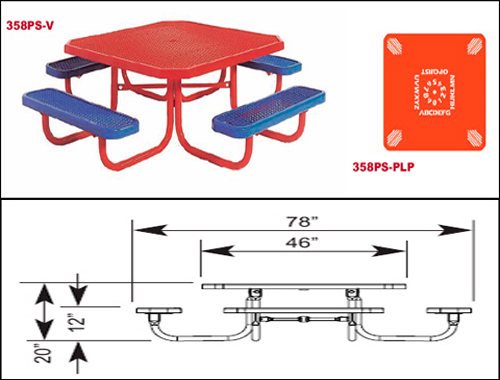 The 357 preschool table is made with durable polyethylene planks with 1-1/16" 0.0. framework. 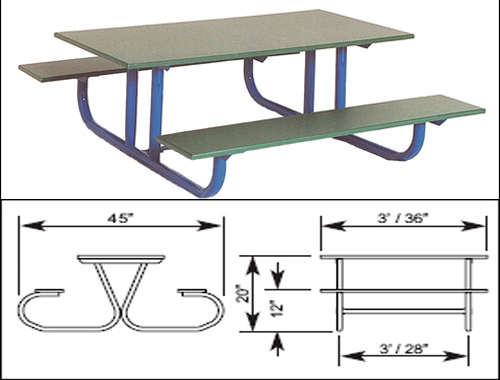 Seats are 9" x 36" planks and table tops are 19" x 36". 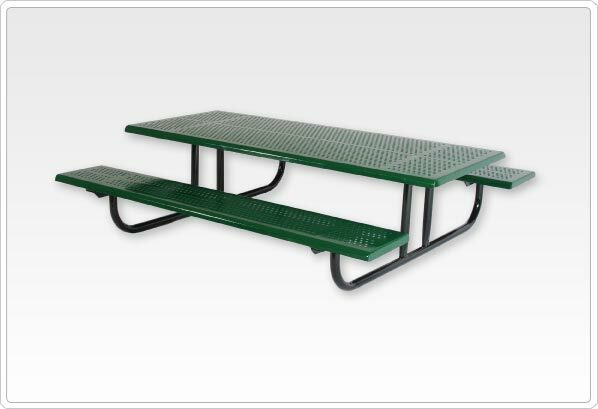 Table is portable. 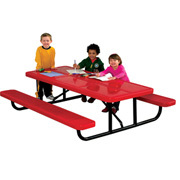 The 557 heavy duty 4' preschool table comes standard with green polyethylene planks and blue powder coated frame. Seats are 9" x 48" planks and table top is 30" x 48". 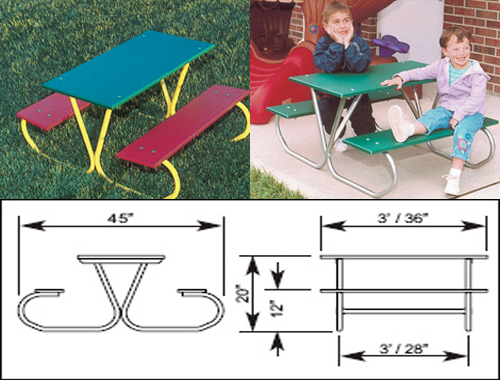 The 20" high preschool table is portable. 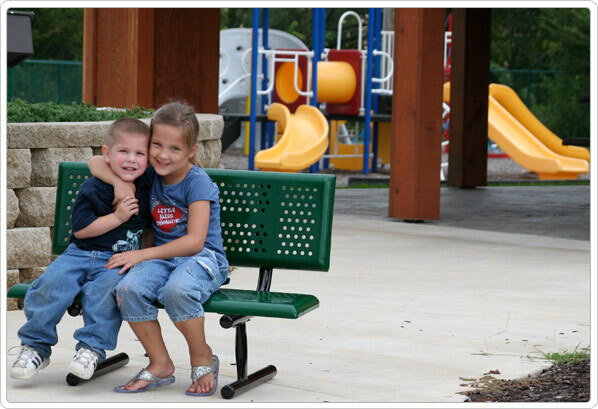 The 257 kid's size park bench comes standard with durable red polyethylene planks and a green powder coated frame. Seats and backs are 9" x 36" with 1-1/16" O.D. framework. Bench is portable. The 3' preschool bench with back has rounded corners with 12" high seating. 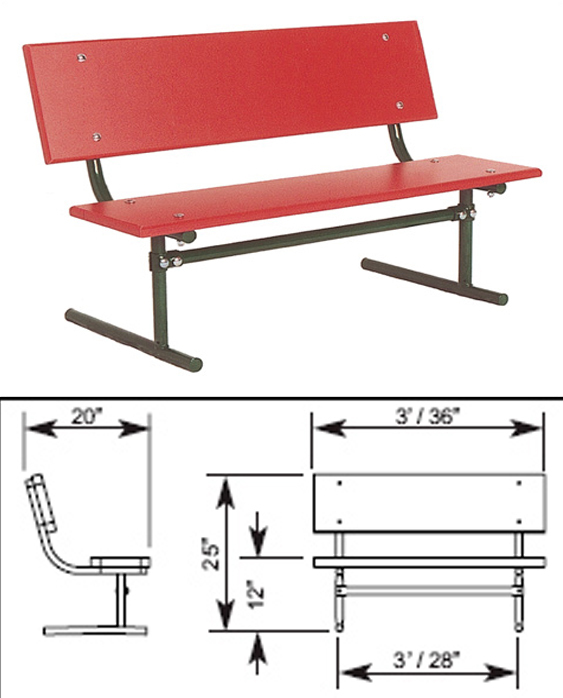 Bench is available as portabale or inground. 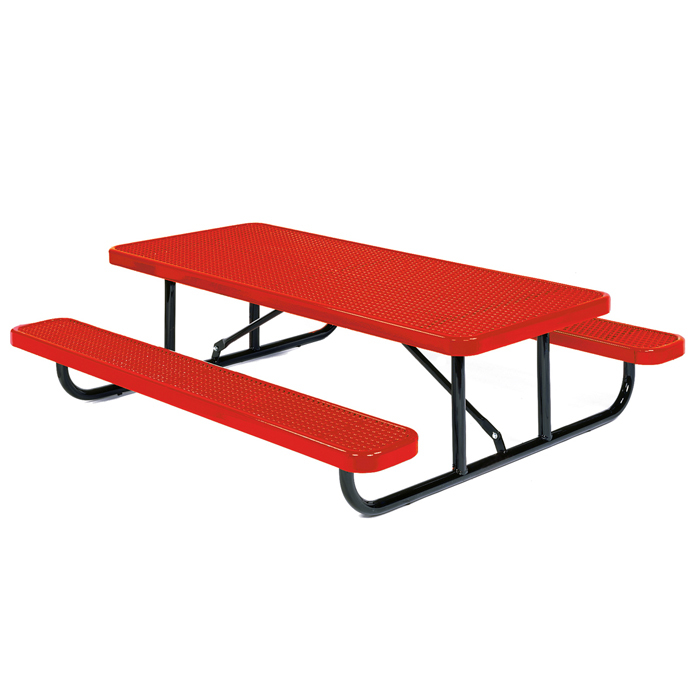 We have the finest selection of sports equipment and bleachers for your sporting activities whether it be basketball, baseball, football, volleyball, soccer, lacrosse or golf. 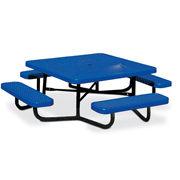 Check out our quality site amenities selection of picnic tables and benches. 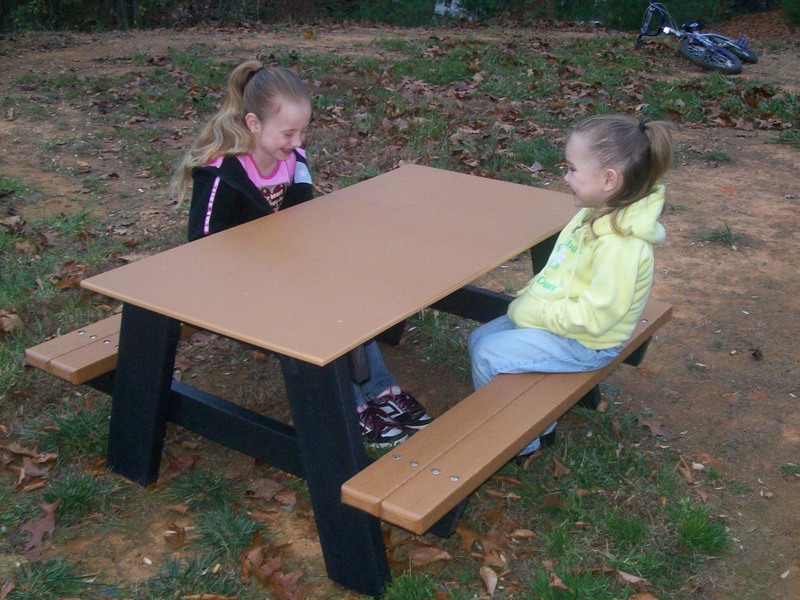 Choose from PVC , thermoplastic , wood, aluminum, ADA accessible and recycled picnic tables and benches and other designer furnishings. 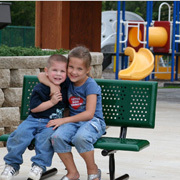 When outdoors having fun under the sun or under our shade structures we have bike racks, park grills, trash cans and drinking fountains or if you decide to stay indoors we have our indoor playgrounds.